OEM Laundry Parts has a variety of commercial rear control small dryers available for your laundry business. These Speed Queen dryers come in both coin and non-coin options to meet the needs of your vended, on-premise, or multi-housing laundry facility. Call 904-240-0211 to chat with one of OEM’s commercial laundry equipment specialists. 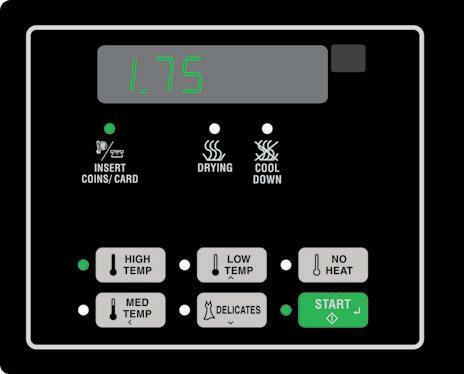 The Speed Queen (SDEMNRGS173TW01) non-coin commercial dryer is electric heated and uses electromechanical rear controls. 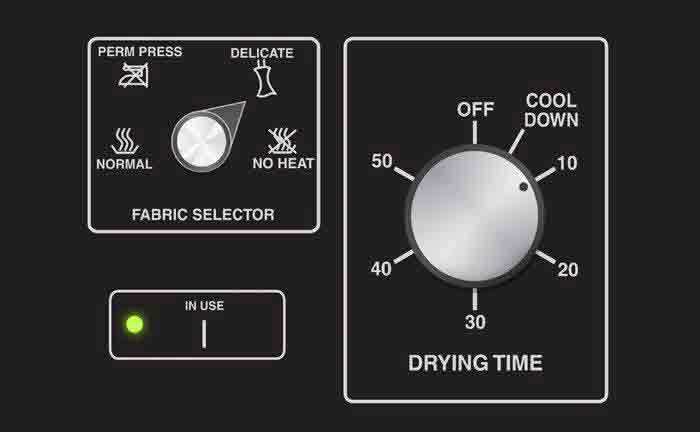 It has a simple operation by using its knobs to select the different fabric settings. 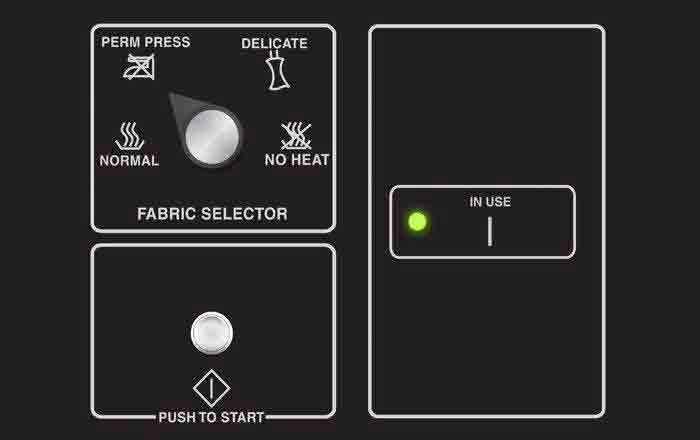 Simply place your laundry in the drum, close the door, select the correct fabric step and push the start button. It does not get any simpler than that for your users. This Speed Queen commercial dryer is designed for use in on-premises laundry facilities, such as hotel guest laundries, apartment buildings, and condos. The commercial dryer is manufactured by Alliance Laundry Systems and has the full 3 year parts warranty. When you need Speed Queen washers or dryers, call OEM Laundry Parts at (904) 240-0211. This Speed Queen commercial dryer with the electronic Quantum Gold Control with electric heating gets the job done in multi-housing applications. The SDENCRGS173TW02 Speed Queen commercial dryer is designed for use in hotel guest laundries, apartment buildings, condos, and any other guest laundry location. Its innovative design and reliable performance will lower operating costs and increase revenues. The commercial dryer is backed by Alliance Laundry Systems full 3 year warranty and is 100% serviceable from the front of the dryer. When you need commercial Speed Queen equipment, call OEM Laundry Parts at (904) 240-0211. Speed Queen dryer model SDENCRGS173TW02. The SDESXRGS173TW02 Speed Queen commercial dryer is electric heated and has a coin slide designed for use in hotel guest laundries, apartment buildings, condos, and any other on-premises laundry locations. The commercial dryer is backed by Alliance Laundry Systems’ full 3 year warranty. When you need Speed Queen commercial washers or dryers, call OEM Laundry Parts at (904) 240-0211. Speed Queen dryer model SDESXRGS173TW02.